"Laurel, you breathe Life into the Properties you List!" Laurel Strand just sold our Montclair house with an outstanding outcome. We consider Laurel a real estate broker superstar! Laurel Strand knows the Oakland Hill real estate market. Her knowledge of the neighborhood provided valuable insight into the best way to market our unique home. Her brilliance resulted in a sale price well above asking, and a closing within a month of the first open house. Aware that selling a home in the Oakland Hills in this fast changing economy and competitive market required exceptional marketing skills, we began our search and interviews. We soon learned that Laurel Strand, who specializes in sellers’ needs, had an unsurpassed sales record in the Oakland Hills. Laurel’s transformation of our home in Montclair was spectacular! Everyone who knows the house commented on its revived beauty. She is knowledgeable, enthusiastic and a delight to work with. Laurel seemed to read our property, create her vision of its “inner home,” and within weeks, make the house a home (with minimal effort, cost and anxiety to us). We now refer to her as the “house whisperer” for her unique ability to draw out, appreciate and communicate the full beauty and positive qualities of a house. (We tried not to go overboard on our praise for Laurel, but based on her results, it is impossible not to.) Thank you Laurel Strand!!! Laurel is easy to work with. She is positive, upbeat and totally focused on the task at hand. We are very grateful to have had a real estate agent with such a depth of knowledge, experience and expertise. Laurel is detail oriented and has exceptional organizational skills. She orchestrated scheduling the vendors needed to ready the house for sale in short order. Laurel's impressive array of skills, talents and abilities enable her to understand the strategies and nuances of how to show a house that are most advantageous to the seller. Her communication with us throughout the process was excellent. Laurel goes the extra mile and she did an outstanding job in all respects. We could not have been happier with her services and recommend her highly. Laurel is a “10”! From the first day I called her until closing on the sale Laurel was incredibly efficient and organized. From her team of skilled workers to the butter cookies at open house, no detail was missed. But most of all, she truly cared about us and our house. Selling a house can be traumatic, especially from out of town but Laurel shouldered a lot of the maintenance, e.g., watering, turning on lights, and most of all keeping our sanity when glitches came up. Her commitment translates into a successful sale. Thank you for the wonderful work you did for me in selling my cousin’s house in Montclair this spring. I never imagined that selling a house in Oakland California from Oshkosh Wisconsin would be such a streamlined process. That is all thanks to you for your organization of all the people and firms involved in inspections, clearing, cleaning, upgrading, and staging the house, and the escrow process. That sounds so mundane, but when I saw the drawing and the photos of the house and patios I was stunned. You’d envisioned what it could be, while I had only been able to see what had been and how sad it had become. Your advice and patience while I worked on freeing up the house for sale was practical, ethical, and reassuring, just what I needed to keep our goal in mind. When that finally happened, you did what you had told me when I first contracted with you, as fast and well as you had promised. I’d interviewed four people from different firms in the week I was out there – you were the one who listened closely and offered that viewing of one of your properties that put my mind at ease. The confidence you created in me took us right through this adventure. My cousin Harriet, though she no longer understands what was done on her behalf, will benefit from your vision for her house and your expertise in selling it for as long as she lives. When we decided to sell a house that we had owned and loved for 40 years, we were concerned that the beauty and potential of this house would not be apparent nor appreciated. The house is a 30’s cottage on two lots in a private park-like setting that had been a rental for 20-years. We chose Laurel Strand as our agent based on a friend's experience and Laurel's known reputation. She quickly saw the situation as we did and took charge. She told us her vision for the house and sale. We agreed and gave her a free hand which became the obvious right choice. In the heart of an El Niño winter, Laurel Strand and her team transformed that house and those two lots into a home and setting that gave us second thoughts about selling it. It was that stunning, even to our critical eyes. Her talent in staging, marketing and presentation is obvious in every detail. She painted a picture for those who had difficulty seeing what we saw. I never imagined the house would show its assets as clearly as Laurel was able to do. The response from potential buyers was huge, not just in bidding but also in personal comments. "Laurel Strand is the best Realtor I have ever worked with, no question! Her attention to detail, follow-through, knowledge is second to none! She knows how to get the job done!" Thank you for the terrific work you did for me in selling my in-law's home in Montclair. Thanks to you and your organization of all the people and contractors involved in inspections, clearing, cleaning, upgrading, and staging the house and the escrow process the sale went quickly and painlessly. Your advice was practical, ethical, and reassuring, just what was needed to keep our goal in mind and move through an emotional Trust settlement situation after the passing of my Mother and Father-in-Law. From the first 15 minutes meeting with you I knew we could work together and get this thing done! You helped my family and especially me through this once in a lifetime experience. On behalf of me, my children and especially Laura, thank you Laurel!
" For most of us, selling a home can be exhilarating, unsettling, emotional…Laurel removed any doubt from the experience and created a realistic plan enhanced by her beautiful aesthetic, an attention to details that mattered, a razor-sharp focus on true priorities, and a team of qualified, make-it-happen professionals. She was warm and attentive as she nurtured and pushed us along as needed, allowing the process to flow smoothly from staging to escrow. She exceeded my expectations (which is no easy task), and we toasted a home sale that was a celebration for all involved. Words can barely express my true appreciation and admiration for Laurel." The decision to sell our family home was a difficult and emotional experience, but Laurel's compassion helped us through every step from start to finish. After not having moved for more than 50 years, we were at a loss as to where to begin. Laurel provided suggestions and guidance during our first visit. She was able to envision all of the positive aspects of our home and knew how to enhance those features. Laurel’s attention to detail is exemplary. She provided names of businesses that assisted us in preparing the house for the sale. She personally met (at our home) with contractors who provided services such as cleaning, upgrades, gardening, and staging. She also made arrangements for and attended all inspections and signing appointments. Due to the guidance and assistance we received from Laurel, our home sold within 5 days of being on the Market. "In February 2014 our listing strategy started with choosing Laurel and thereafter she took the reins by fully orchestrating a process for preparing, timing and pricing the sale of our home. The house sold within two weeks after listing in September 2014 at over asking price. Laurel helped us out immensely when my husband’s job required us to move out of state. Laurel went the extra mile(s) and was hands-on in coordinating and overseeing the repairs and staging of our home after we had already left California. It was a huge relief to be able to have her handle the preparation of the home, and she did a beautiful job. When we saw the “after” pictures, we had a hard time recognizing some of the rooms because she had done such an amazing job! Laurel is thorough, honest, and knows the market. It was stressful to have to sell our home and go through the whole process, but Laurel was always patient and reassuring. Our home sold in 15 days above asking price. Please accept our many thanks, Laurel Strand, for helping us sell our uniquely modern, self-designed and custom built home of 54 years in the Montclair Hills. Our home was pending in just 15 days, and well above our asking price. From start to finish you have been thoughtful, considerate and highly respectful of our wishes and concerns. We appreciate your integrity and patience. We were highly impressed with your proven and practical 'cohesive integrated plan' that you presented to us which included both pre and post sales. It encompassed everything from marketing and sales, inspections, contractors, and movers, to home staging. Plus, the outstanding advertising which included professional photography, original architectural artwork, and excellent creative copy writing that went into the beautiful website video home tour and full color printed brochure. All of which you accomplished within weeks and could not have been a better representation of our house and scenic view. And your pre and post-sales personal touch follow-up paved the way for pleasant experience for all involved as well as an informative and smooth transition for us and the buyers. We also appreciated that you were so organized, knowledgeable, on top of things and how you kept us informed every step of the way. Especially navigating the myriad of paperwork needed within a short span of time. Thank you for being the consummate professional. We greatly value that you are also a long time resident of Montclair and involved with the community, as we have been. A true asset to our hillside neighbors and friends. And we love the new owners! We are so happy knowing they will be living in the house we called ‘home’ for so many years. Again, many thanks to you and your team. You did a lot more for us than we ever expected from a realtor. Please have any prospective clients call us at any time. If we have friends in the area who want to sell their home in the future, we will gladly recommend your services. Laurel sold our home sold in 2014. For the last 25 years, we thoroughly enjoyed living at 26 Drake Lane in Montclair. Due to an unexpected work opportunity, we decided at the end of last year to sell our home and move to Hawaii. We were familiar with Laurel Strand through her local advertising and periodic mailers. We had never met her, but after a referral from a friend and one meeting, we selected her to represent us in selling our home. She is patient and understanding. Laurel was willing to explain anything and everything to us. Laurel lives and works in Montclair. Having someone who is thoroughly knowledgeable about our neighborhood and the idiosyncrasies of our local micro-market proved invaluable. She knew pros/cons of other properties that were currently listed, those that had recently sold, and how our home compared. She understands what buyers considering the Montclair area are most interested in. She knew how to best market the attributes specific to our property. She is detail oriented, yet practical. She helped us select granite, fixtures, paint colors, and other improvements. At all times, she could share from her experience what buyers are most interested in. Laurel brings an outstanding supporting cast—the water color artist, the stagers, the photographer, and the even the printer. Together, they made the property look amazing and the advertising materials reflected it. Business acumen. Although we had multiple solid offers, Laurel successfully guided us through a maze of potential pitfalls, delivering a successful sale while treating all parties with courtesy and professionalism. Selling our beloved home was very stressful, particularly for Cynthia who remained in California during the packing, moving, subsequent house preparation and sale. Laurel was always supportive, good natured and a pleasure to work with. We recommend her to you without reservation. Laurel Strand really knows her business! She definitely steered us in the right direction and the sale of our house was quick and as smooth as could be. All the individuals she recommended to help prepare the house for the sale were stellar, honest, and efficient. She worked tirelessly and steadfastly and we couldn't be happier with the results of this sale. Once again, we appreciate all that you did. I knew of Laurel Strand before I chose her as my agent, however, I had no idea how great she is as an agent. She made it possible that my house be presented in a truly positive way. We hit the ground running in early August and the first open was October 6th. I was able to accept an offer on October 14th. She was there for me at every obstacle. I think she is extremely professional and LOVES her job. were dealing with a very large scope of work to update, remodel, clean and stage in just a few short months. Laurel was incredibly supportive throughout all phases of the project not just because of her expertise and resources in all areas of residential real estate, but because she was basically available 24/7 and was able to keep us on track despite juggling sales of several other homes. She was so attentive, it felt like ours was the only house she was selling. Since we were ‘newbies’ we had to rely on her savvy and professionalism and most importantly trust her recommendations. It all worked out wonderfully at the end and we are quite grateful to her for guiding us all along the way. We love Cutie too! of getting our home on the market fast. She started off with a calendar of tasks; we knew what we had to do each step of the way. Her wonderful network of trade’s people was a time saver and each one did a fantastic job (at reasonable prices). They all come running when she calls or you use her name. Laurel’s daily encouraging emails also kept us updated and on schedule. house sold in two weeks with 12 offers, well over asking! Laurel did a great job! My house sold within a week, substantially above the asking price. She knows the Montclair market inside and out, and understands how to use the dynamics of price and presentation to best advantage. Hi Laurel – Thank you so much for your efforts. Things couldn’t have worked out better in selling our Montclair home and purchasing our Rossmoor condo. This wouldn’t have happened without your consummate professionalism and competence. Thanks again, Dieter and Anne. Laurel, I want to take this moment to thank you again for your wonderful and professional leadership and expertise in getting the Colton Blvd. property sold in such a short period of time. It helped in the selection process that I had known your skill level before this venture when you helped me years ago with thoughts and ideas about my mom's property. I met Laurel Stand several years before I decided to sell my house. I had visited one of the homes she was selling near my street in Montclair, Oakland and was doing a "looky-loo". I had seen the place before she put it up for sale and noticed the transformation. I decided that when the time came, Laurel would be my agent. She knew what to do and had all kinds of tradesmen at her beck and call, ready to jump when she said jump. When I decided to sell my house in 2011, I was thinking in 1 year and asked if she was interested in talking to me. She came by and offered very valuable advice to me regarding what to do, and what not to do, which was in my case not to spend money updating my fairly old kitchen. I told her that I was in favor of "staging." A few months later, I decided to move to somewhere in Rossmoor in Walnut Creek. She worked very hard finding me the perfect location in Rossmoor and I liked it so much that I decided to buy it right away and put my house on the market early. Laurel advised me every step of the way and I took her advice. The end result was that in a "down" market she, together with her very able stager, transformed my house in a couple of weeks while I concentrated on the outside garden. "I needed to sell my home in the Montclair District. Fortunately, we have a Real Estate Agent right in our neighborhood--Laurel Strand. She is good. She knows the rules and regulations, is pleasant to work with, and gets results. I can recommend her highly." Kathi Mosle, founder of well-known company in California. "I am not new to real estate; I have purchased and sold three homes. When it came time to sell my 4th home, I chose Laurel Strand. Laurel is a Montclair specialist, well-known in the area and has a high level of knowledge and expertise. We were selling in a difficult real estate market and felt Laurel would get the job done. 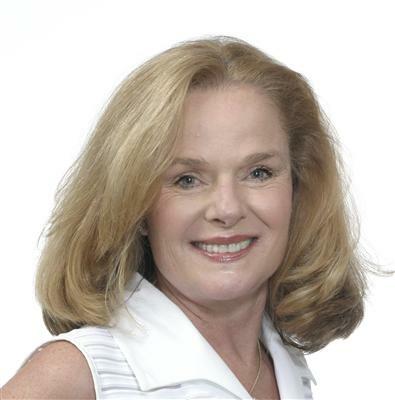 "I began to notice Laurel Strands attention to detail and professionalism as a resident of Montclair where I received her notices about homes for sale in the area. I was impressed by the lovely watercolor paintings of the homes, and the manner in which they were staged. Prior to the sale of my home, I consulted with several Realtors, and time and time again, came back to Laurel who had extensive knowledge of the Montclair area. She met with me and presented a package reviewing all aspects of selling my home. A few months later, in the fall of 2007, I unexpectedly found a home I wanted to purchase and immediately thought of Laurel. She skillfully negotiated the purchase of my new home, while at the same time preparing my home for sale. This included pre-sale inspections and preparation to get the best price possible. Laurel left nothing to chance, was upfront, and honest. Issues with my home were identified prior to selling so repairs/upgrades could be done to eliminate potential issues coming up that would impact the marketing & sale of my home. What I took to be a cyclic downturn in real estate turned out to be the beginning of the worst recession since the 1930s. It was during this time my home was put on the Market--Spring of 2008. There were daily reports on the news of declining home values...It was truly a stressful time. Laurel responded like a true professional. She focused on the marketing and sale of my home. She was fearless and without doubt. Within the first 3 weeks, I received an offer and sold my home in a timely manner. As I think about this in retrospect, I realize that having Laurel Strand to guide me through not 1 but 2 real estate transactions during the beginning of the recession assured me of success. This was one of the most difficult real estate markets I had ever experienced.